For Your Lifestyle: Further Afield Travel and Tours - Distinctive Advisors Inc. Whether you are planning on going abroad or looking for a retreat to call home, Distinctive Advisors has got you covered. Our clients lead busy lives and part of our goal is to take care of the details and free up our clients’ supposed “free” time. We call this our one-hand-to-hold approach to client service. Distinctive Advisors is pleased to be working with a travel and tour agency, Further Afield Travel and Tours, that takes the same approach to client service — making your travel experience seamless by taking care of the details for you. Stacey Cruise, of Further Afield Travel and Tours, has kindly shared a story from one of her many worldly adventures. A bird takes flight, soaring as it so naturally does. With the ability to see the world just a flight away, Orville and Wilbur Wright made it their life’s mission to understand the intricacies of flight. Fantasy became reality when on December 17, 1903 the first manned flight took place. Traveling the world was now a true possibility. People’s dreams of travel began to take hold and hats off to the Wright brothers for making the world so accessible. Today, with 196 countries to explore, there are a plethora of experiences waiting for us. Travel has been a part of my life for a few decades now. Thirty-six countries and counting, the ins and outs of this world keep me coming back for more. Originally, Spain was not on my travel radar. I had no idea the impact my visit to Barcelona would have on me and today, re-visiting Spain is firmly on my must do list. I believe that every destination has a story to be captured, and this is one of mine. The energy of Barcelona picked me up and did not let me go until my flight home. My trip left me with many remarkable memories. 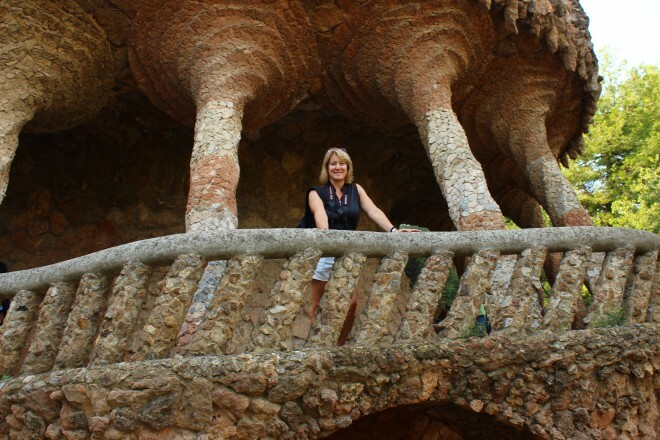 Of particular significance was my introduction to Antonio Gaudi (1852-1926), a Spanish Catalan architect. A fabulous tour of the Gaudi designed Sagrada Familia and an afternoon spent at Park Guell had me marveling at the accomplishments of the architect. 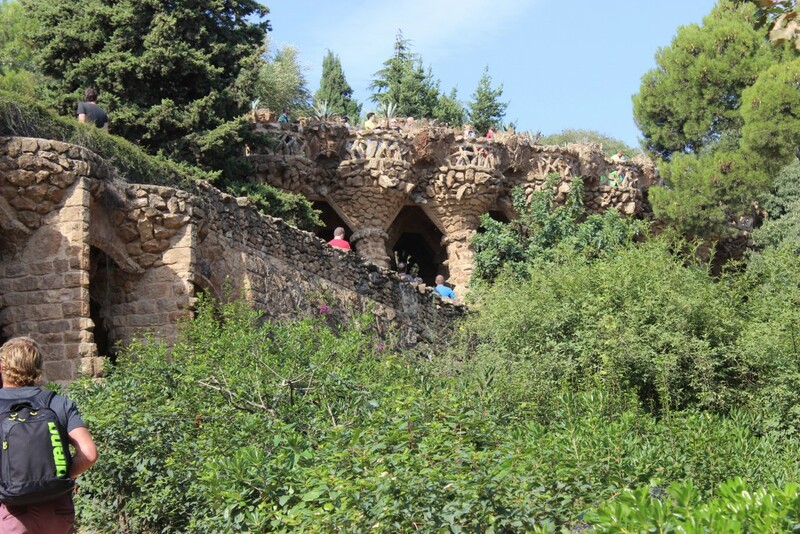 Gaudi incorporated his passion for nature and religion in his architecture. I am not, by a long shot, a guru of architectural design but I can now recognize the work of Antonio Gaudi. When admiring his many creations, his commitment to staying true to nature shows in the fluidity of his design. Much like an artist’s brush traversing a canvas, Gaudi maintains an air of borderless expression. As I learned more about the architect I found that his hands and mind were never idle. He worked tirelessly. Seven of his works have been declared UNESCO World Heritage Sites. Gems of travel lie in many places. Exploring what this world of ours has to offer is a marvelous privilege. I extend a heartfelt thank-you to the flight of birds and the Wright brothers. Further Afield Travel and Tours was born of a desire to have clients thoroughly enjoy their travel experience. Our company has put personal back into travel and values your leisure time as you do. How you see the world really does matter to us and we would like to know: what is your gem of a destination? Find out other ways Distinctive Advisors can help you with your lifestyle by visiting our Lifestyle Concierge page, or visit the Distinctive Collection for find your perfect home today.